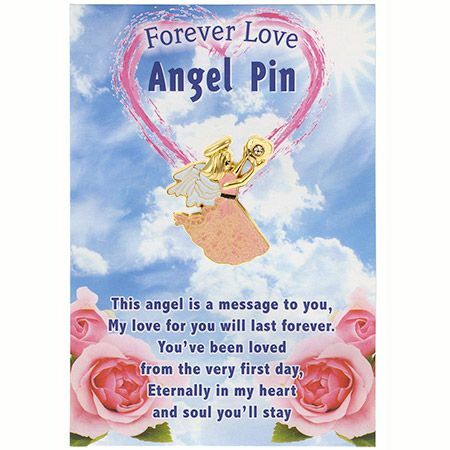 Love Angel with Heart Pin Forever Mine - with Sentiment Card. Gold white accent. 1 inch" tall. Newer design. Nice gift card inscription. 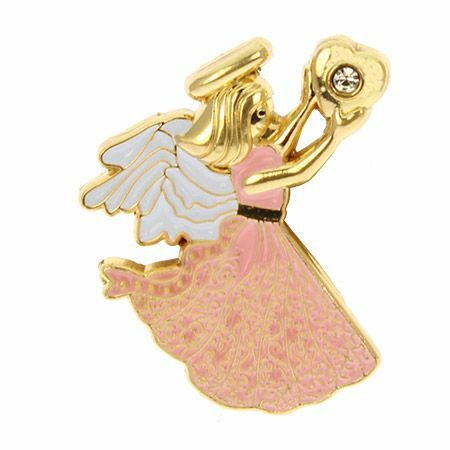 "This angel has a message to send, My love for you has no end. I've loved you from the very start, Forever mine in my heart." To and from on back.